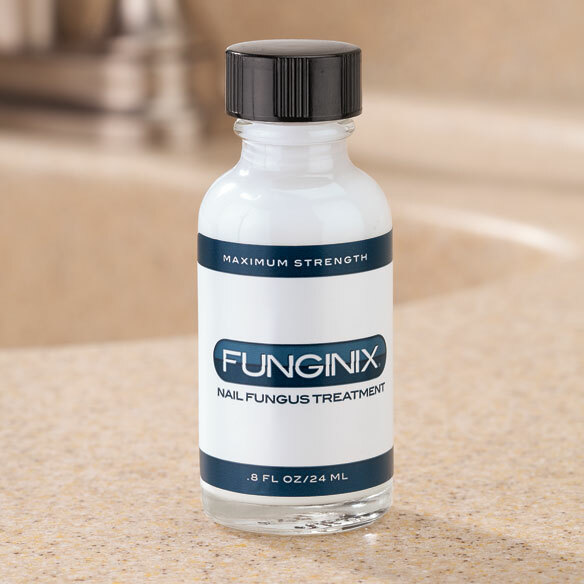 Funginix® nail fungus treatment helps nix nail fungus naturally. Complete topical treatment has been laboratory-tested to guarantee the killing of fungus. Stops infection at its source to promote the restoration of healthy nails in a fungus-free environment. Nail fungus treatment contains FDA-approved active undecylenic acid combined with a proprietary blend of natural oils and minerals, such as camphor and tea tree oil. Simply brush on thick, yellow, brittle nails and look for results often in as little as 2 weeks. 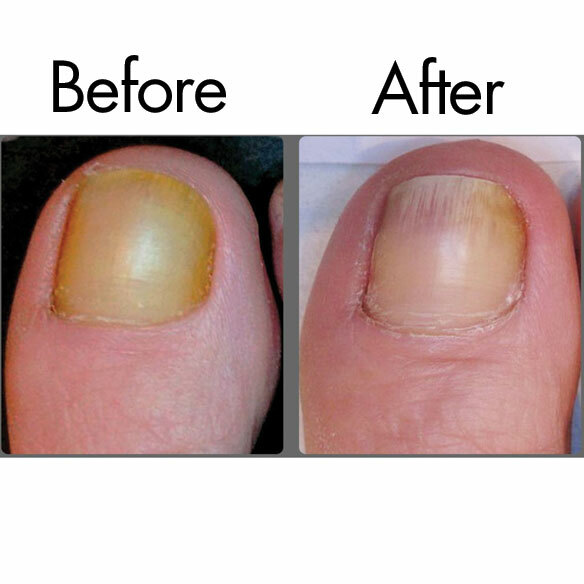 Safe, natural, effective treatment for toenail fungus. Ideal for toenails or fingernails. Directions: Clean the affected areas and dry thoroughly. Apply liberally with brush applicator and make certain to get under the nail and into the cuticle. Apply twice daily; once in the morning and once at night. Keep nails dry and clean thoughout the day. Warnings: For external use only. Avoid ingesting or contact with eyes. If swallowed, rinse mouth thoroughly. Consult physician if using on children under 5 years of age. I've chosen this item to help with my husband's nails. I wanted to try and see if this will help with fungus problem..
Have one nail turning dark! I chose this to get rid of a nail fungus on my foot.